Absolventa is a specialist job board for students, graduates and young professionals in Germany. We support students actively in their career preparation, bring graduates in the first steady job and help young professionals at their next step on the career ladder. For companies, we provide customized recruiting and employer branding solutions for the target group of young academics. The Absolventa GmbH employs around 50 people in the heart of Berlin. Summary: Absolventa is a specialist job board focused on student and graduate positions. Created in 2007, the successful job site was later purchased by Funke Medien Gruppe, a large media group, which has existed in Germany for a number of decades. Absolventa even has three other partner job sites: Azubi, Trainee-Gefluester and Praktikum. 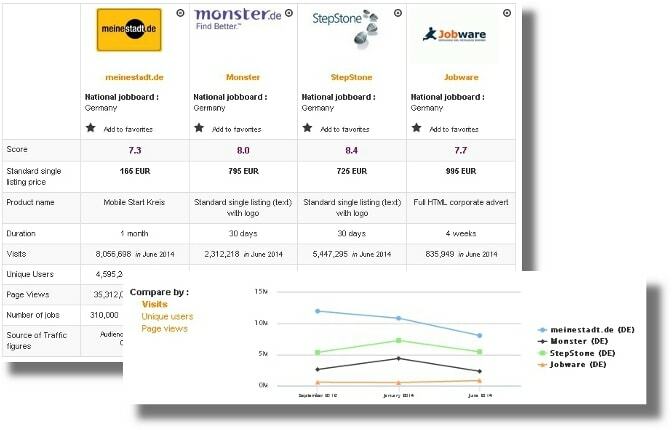 Other partners include Arbeitgeber Ranking (for company ratings). All four sites have the same maze logo in the tab in different colours (Absolventa’s one is green). 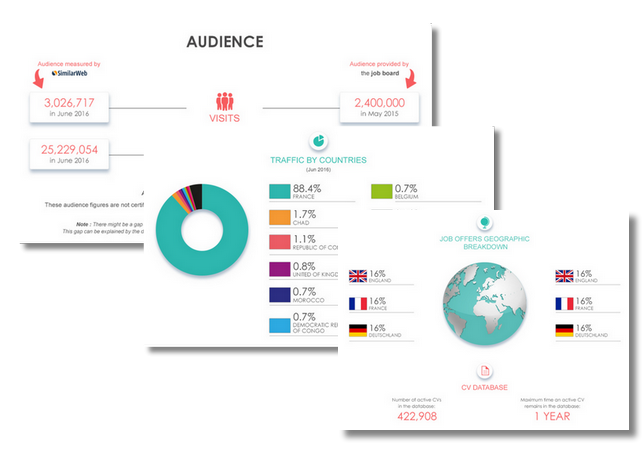 When you see how well designed the job board is, you aren’t surprised to discover that 884 130 visitors use it per month. On social media, there are 5 341 followers on Twitter, 287 on Instagram, 14 085 on Facebook and 621 on LinkedIn. The job board objective: Absolventa targets students and recruiters looking to hire recent graduates. Jobseeker observations: Jobseekers are usually redirected to a career page or form to apply to job offers. The job offers: There are 6 703 job offers online and 350 companies. Most of the offers are in IT, engineering or management. Even if most of the offers are recent, there are still offers on the site from over 9 months ago. Special features: The detailed “About us” section; the candidate and recruiter interviews; the profession sheets (including minimum, maximum and average salaries, required skills and the assignments); the blog (no publication dates, in different sections); the key figures; downloadable CVs, cover letters; job alerts; the recruiter newsletter; the YouTube videos. Verdict: Absolventa is a great website. From the CV templates to the different salary information, it really offers a helping hand to those just starting out in the world of employment. Login here for FREE to unlock access to the traffic audience, content and pricing section for more information on Absolventa. Absolventa publish press releases every month and runs a blog. They also take part to a fair selection of events to be in direct contact with students. Absolventa has received the mark "very good" 3 times in a row to a german markey survey organised by Focus Money about specialist job boards.